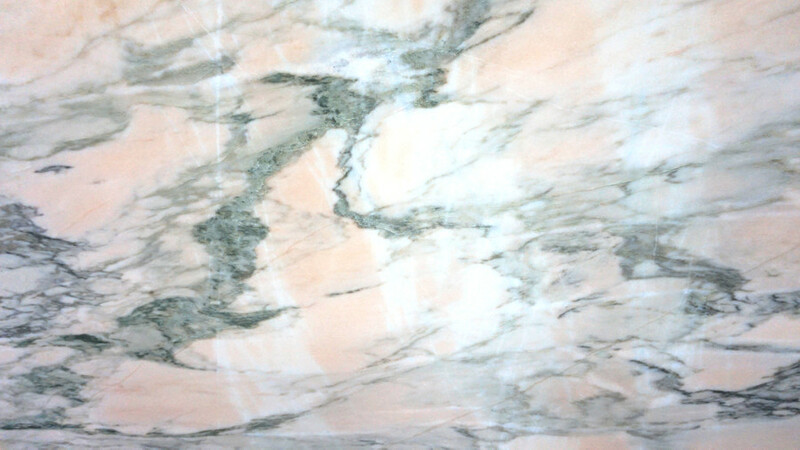 Stone Focus | The Colour of Quartzite | A colourful mix of natural stone. 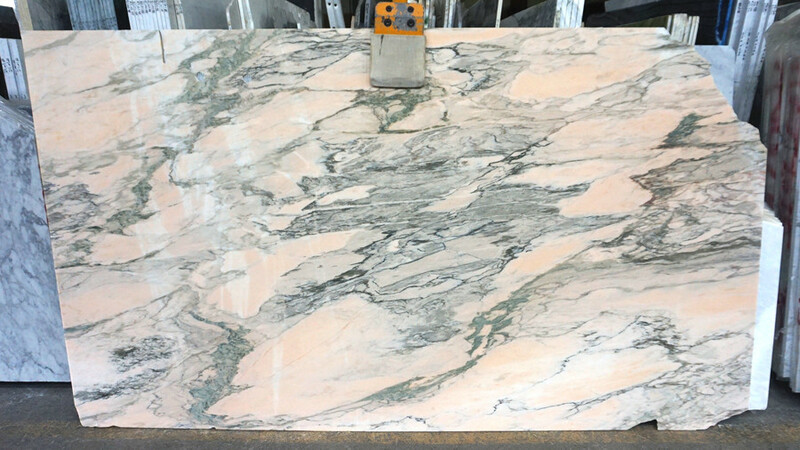 Two bold quartzite surfaces and a bright marble slab. 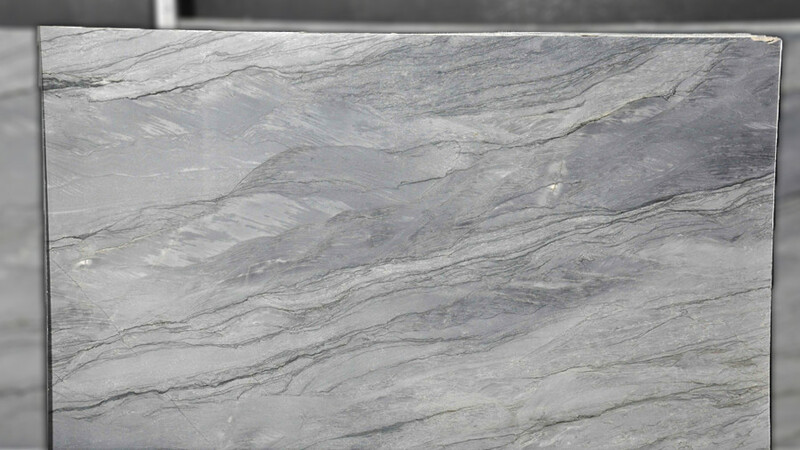 A glorious grey Quartzite, this stone feels sophisticated in its simple and wavy pattern, with veining that, at a distance, looks reminiscent of the breaking of waves on a shoreline. 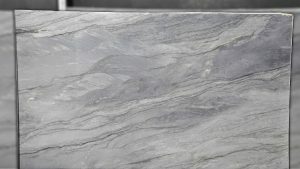 Quartzite is a strong stone, often more resistant than granite, so a good option for worktops and other work surfaces. As well as this, it is commonly used as flooring. The neutral grey of Platino would work well in a modern, monochromatic design, as well as part of more vibrant designs. 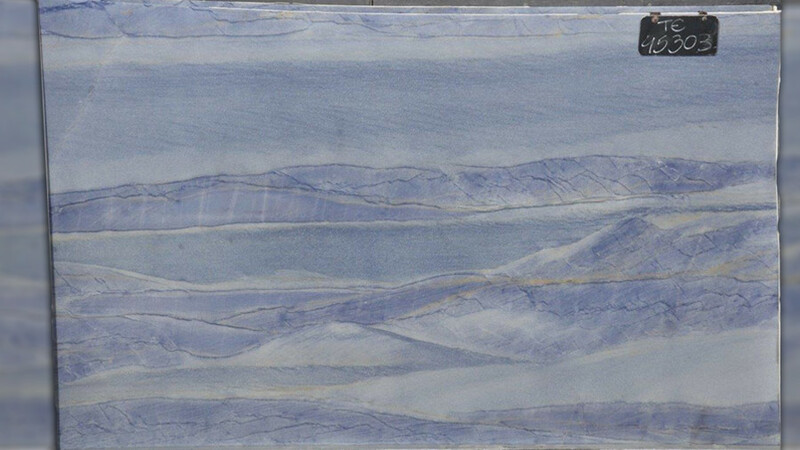 Looking at the Azul Macauba after having taken in the Platino is a bit like turning the colour up on an old TV, the pattern of the veining is very similar only in a rich sky blue. 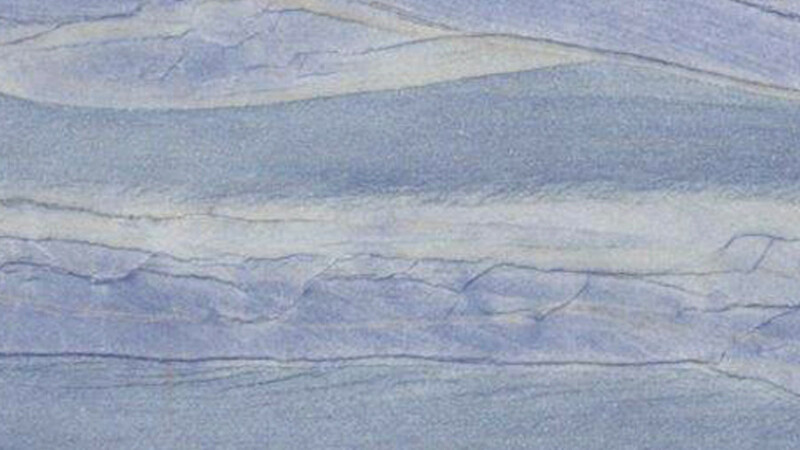 The range of blue in this stone is stunning, with deeper blue being present alongside blue so light that it looks more like white when adjacent to it. I love how this combination makes the lighter areas appear almost like the peaks of snow-capped mountains resting on darker terrain. A bright, salmon pink marble, with light grey veining, the Rosa Portugal, or Rosa Aurora, is an attractive marble surface, made more desirable for its suitability for a number of applications. 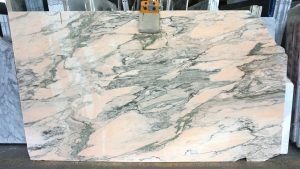 This stone looks equally amazing as part of a complete interior or as a single, signature piece, like a decorative table top or feature wall. It can vary quite a lot, as with any natural stone, with these particular featured slabs having a fair amount of grey veining present, breaking up the pink and creating more of an abstract feel. You can subscribe to our email newsletter to receive blog updates straight to your inbox or take a look at our other posts by clicking HERE. 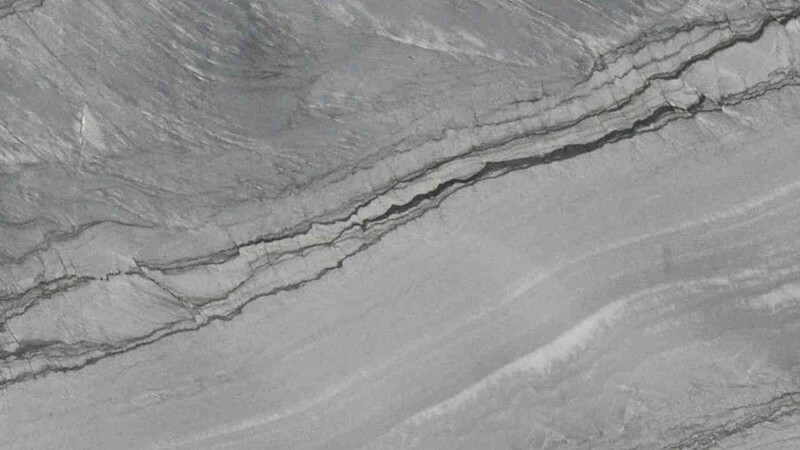 This great feature on classic quartz is well worth a browse!